Many people enjoy a soothing cup of chamomile tea to forget the stress of the day and get a nice, restful sleep. 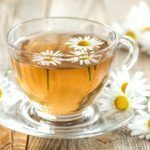 When purchasing a box of chamomile tea at the grocery store, most consumers are concerned with which brand of tea they prefer, not which type of chamomile the tea bags contain. 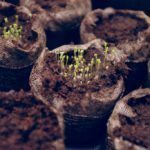 If you’re so fond of the tea that you decide to grow chamomile in your own garden, you may be surprised to find that there are different types of chamomile seeds and plants available. Continue reading to learn about distinguishing between different chamomile varieties. There are two plants that are cultivated and sold commercially as chamomile. The plant considered “true chamomile” is commonly called English or Roman chamomile. Its scientific name is Chamaemelum nobile, although it was once scientifically known as Anthemis nobilis. “False chamomile” usually refers to German chamomile, or Matricaria recutita. There are a few other plants that may be called chamomile, such as Moroccan chamomile (Anthemis mixta), Cape chamomile (Eriocephalus punctulatus) and Pineappleweed (Matricaria discoidea). Herbal or cosmetic chamomile products usually contain Roman or German chamomile. Both plants have many similarities and are often confused. Both contain the essential oil chamazulene, although German chamomile contains a higher concentrate. Both herbs have a sweet scent, reminiscent of apples. Both are used medicinally as a mild tranquilizer or sedative, natural antiseptic, insect repellents, and are anti-spasmodic, anti-inflammatory, anti-fungal, and anti-bacterial. Both plants are listed as safe herbs, and both plants deter garden pests but attract pollinators, making them excellent companions for fruits and vegetables. Roman chamomile, also known as English or Russian chamomile, is a low growing perennial groundcover in zones 4-11. It grows in part shade to a height of about 12 inches (30 cm.) and spreads by rooting stems. Roman chamomile has hairy stems, which produce one flower atop each single stem. The flowers have white petals and yellow, slightly rounded discs. The flowers are about 15-30 mm in diameter. Roman chamomile’s foliage is fine and feathery. It is used as an earth-friendly lawn substitute in England. German chamomile is an annual which can self-sow profusely. It is a more upright plant at 24 inches (60 cm.) tall and does not spread out like Roman chamomile. German chamomile also has fine fern-like foliage, but its stems branch out, bearing flowers and foliage on these branching stems. German chamomile has white petals which droop down from hollow yellow cones. The flowers are 12-24 mm. in diameter. German chamomile is native to Europe and Asia, and is cultivated for commercial use in Hungary, Egypt, France, and Eastern Europe. Roman chamomile native to Western Europe and North Africa. It is mostly grown commercially in Argentina, England, France, Belgium and the United States.